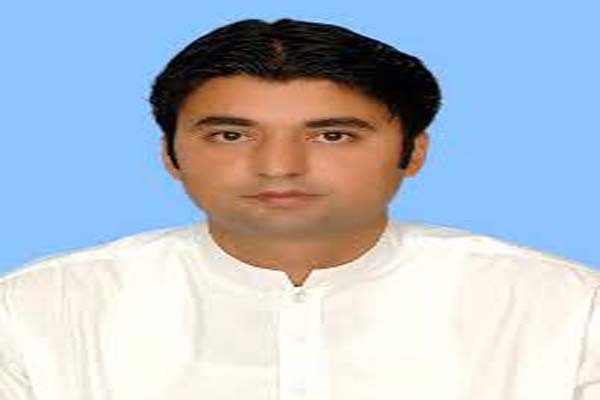 ISLAMABAD, Jan 22 (APP):Federal Minister for Communications and Postal Services Murad Saeed on Tuesday said that government has tasked Pakistan Post to distribute “Sehat Cards” to 8 million people across the country. The minister informed the meeting of Senate Standing Committee on Postal Services held here at Parliament House. Khushbakht Shujat, Chairperson of the committee headed the meeting. The meeting was attended by Senator Bahramand Khan Tangi, Senator Mushtaq Ahmad, Secretary Postal Services Pir Bakhsh Jamali and Director General Pakistan Post Dr. Naseer Ahmed Khan. The committee was briefed on the preparation of plan by Pakistan Post for its betterment, progress, future plan and required legislation and its submission to the committee. The minister said that all the encroached postal properties would be retrieved from the illegal occupants, adding that postal issues have been discussed at high level meeting and the plan was under implementation process. He said that all the General Post Offices (GPOs) were interlinked and ministry was making efforts to expand process of digitization to all the postal networks. Director General Pakistan Post informed the committee that target of 20% increase in revenue from Postal sector has been assigned to all field formations, adding that the case for enhancement of Postal tariff from Rs.8 to Rs. 20 is under process and will be submitted to the Cabinet shortly. The officials said that standardized boxes for packing of parcels have been initiated. The committee also raised the issue of encroached properties of postal services and recommended that all the encroached properties should be retrieved. The committee also recommended that awareness campaign to be started regarding the postal services. The committee also recommended that open kutcheries should be organized in various postal regions to improve its services. Chairperson of the committee recommended that a modal post office should be constructed in Karachi.